The only way to rejuvenate myself is to get away from the daily routine and get some "travel therapy". Rubbing shoulders with locals in an unknown city, experiencing new culture, exploring night life, and wandering through hidden gems of city. 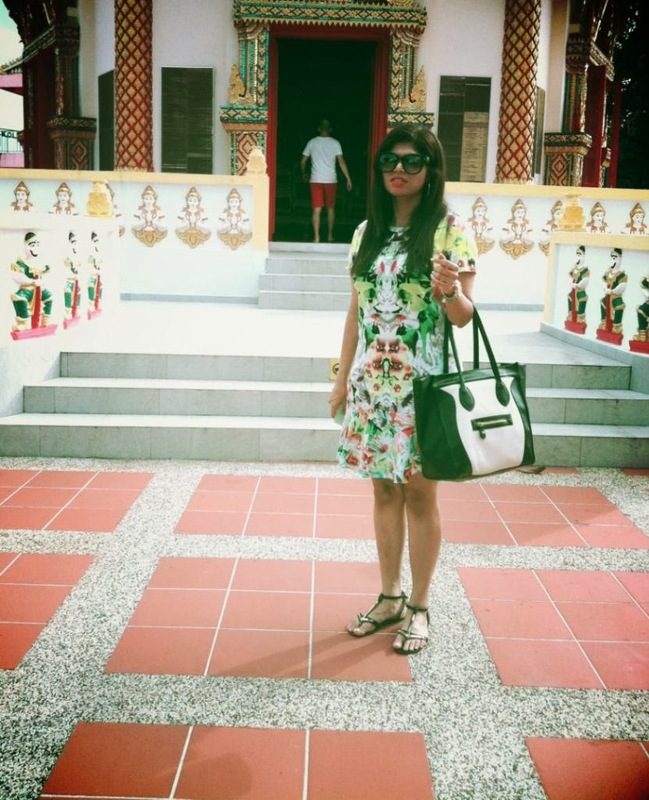 Today's blog post is a stroll down memory lane and discovering the lovely Penang. Named after the pinang or betel nuts that grow in abundance, Penang is paradise for budding writers and food enthusiasts. I reached Penang after taking a five hour bus journey ride from Kuala Lumpur. 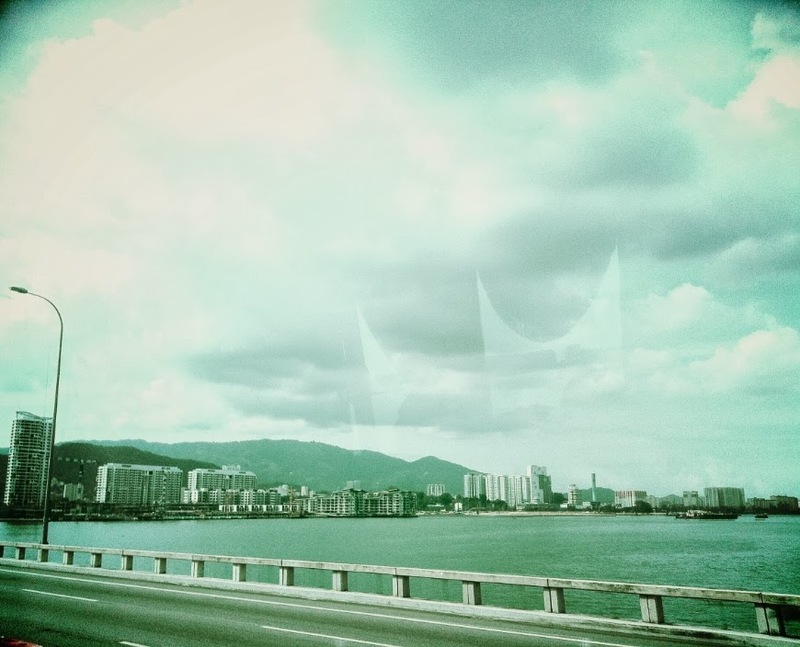 The bus journey through the villages of Malaysia and drive down the never ending Penang bridge (you can see the reflection of Penang bridge in the above photo I took during the bus journey) invigorated me and by the time I landed in Penang I couldn't contain my excitement. Penang offers an unfettered maritime scene where one can sip in the afternoon tea and nibble on scones in the footsteps of writers. 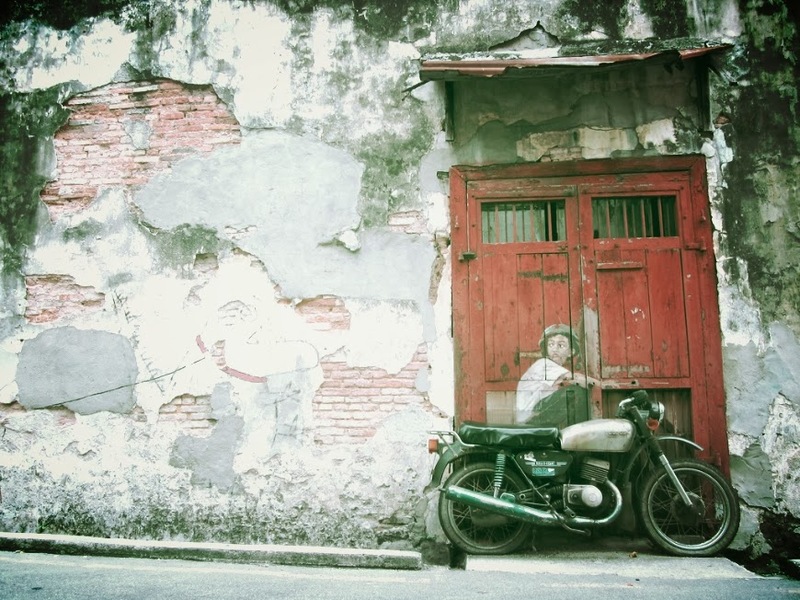 After speaking to a guide and few locals, I realised the best way to discover the hidden treasures Penang has to offer was via a two wheeler. 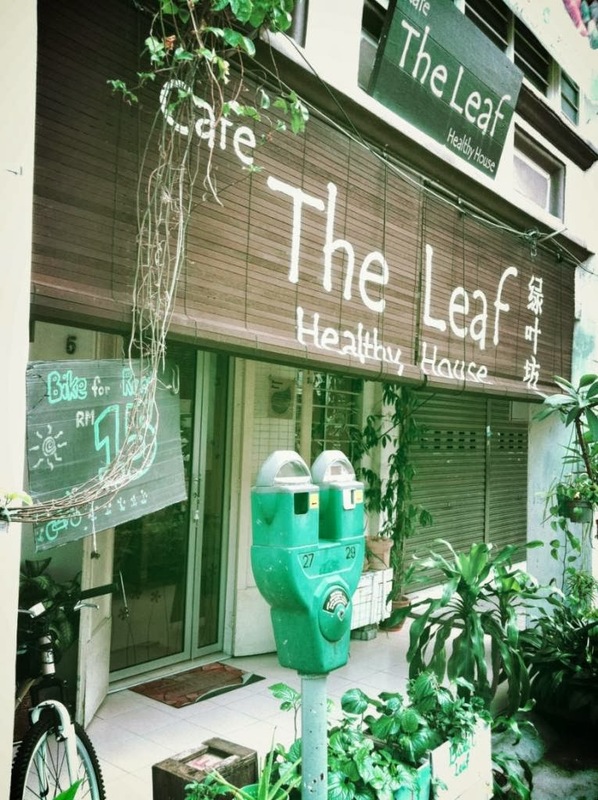 This lead me to a place called "The Leaf"
After a quick pit stop to freshen myself, and binge on some healthy snacks, I rented a bike for just 15 RM at the Leaf. The slow ride through the city helped me savour in the sights of the streets which switch from the modern bustle to bubble wrapped stillness of an opened cafe with every turn of a corner. This song "Born to be wild" song from Steppenwolf kept running through my mind when I was strolling through the streets of Penang and basking in the charm of this heritage city. 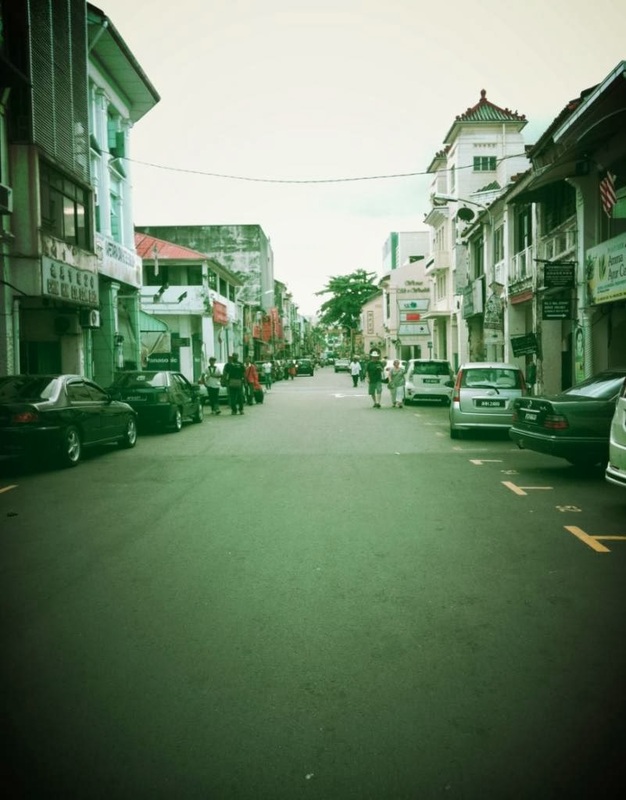 This city truly inspired me and strolling through the Penang ranks among one of my favorite moments. 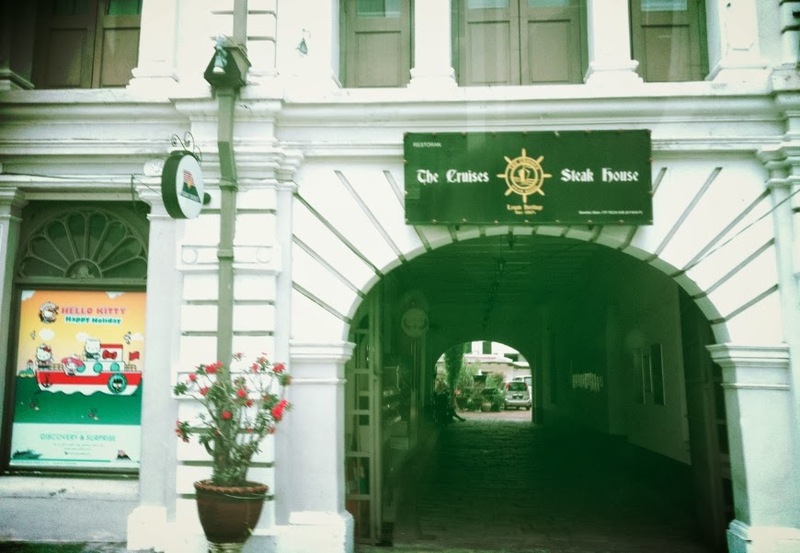 The buildings echo the history of Penang. Penang was the first British settlement in South Asia. The Sultan Abdullah of Kedah allowed Captian Franics to establish a trading post way back in 1786. The port came to be called as Georgetown after the King George III of England. 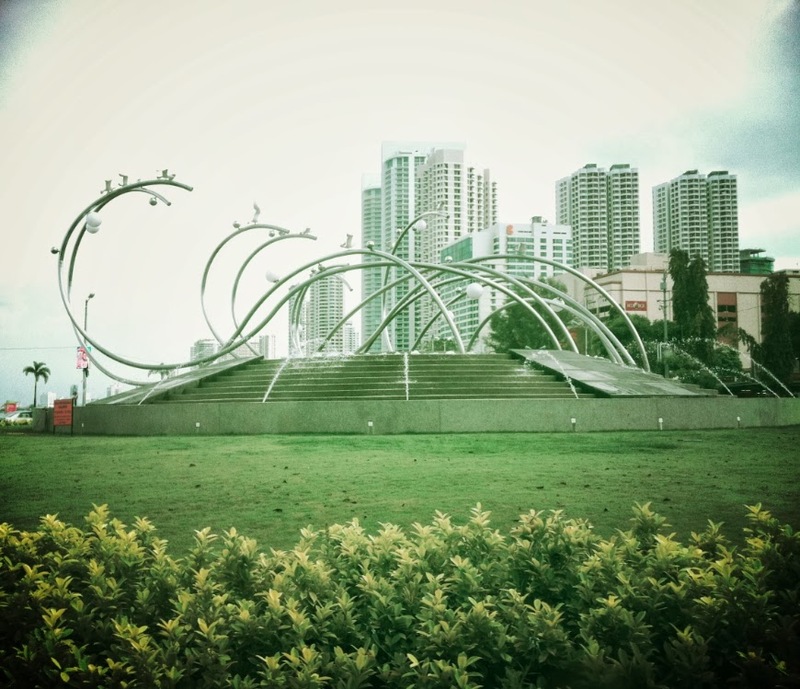 Most buildings still have British colonial edifices, but if you move away from grand avenues you will find new Penang with modern sculptures and innovative buildings. After strolling for couple of hours, I returned my bike. With a help of few locals managed to find a bus stop and took a bus to The Cruises Steak House. Located at the heart of Georgetown, the ambience of the place transports you to the exotic locations of the owners travel escapades. 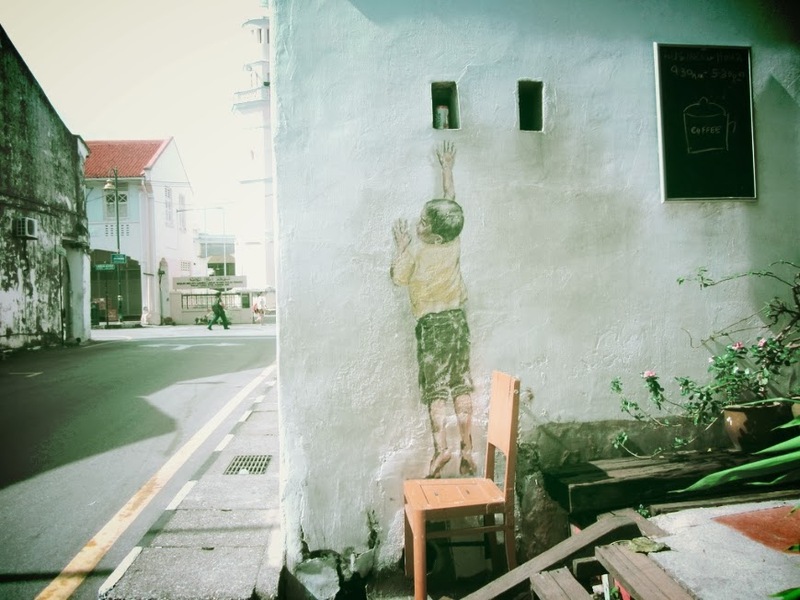 After enjoying a hearty meal and stolen conversations with travellers like me, I started my journey to search for street artists of Georgetown and tea/ coffee tasting. 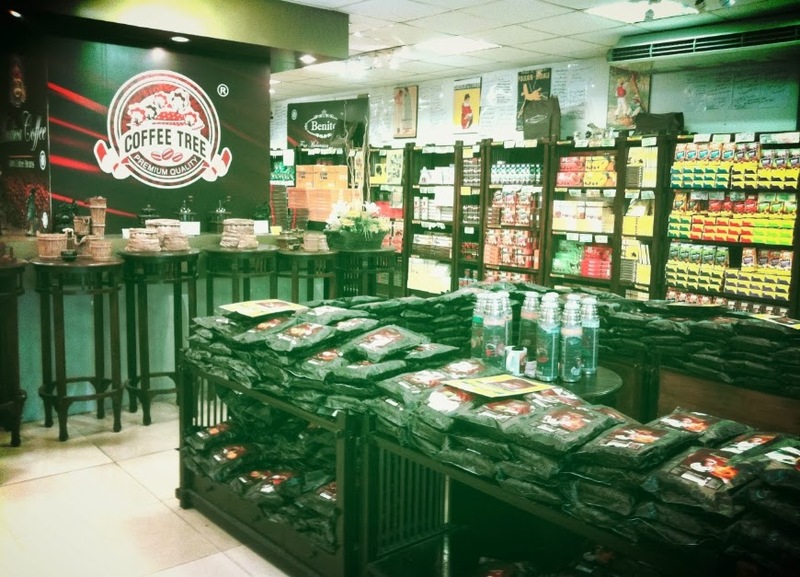 I landed in Coffee tree and Tea tree for coffee and tea tasting. Both shops are adjacent to each other. They are actually small shops which sell coffee, tea and chocolates and not cafes. I am not a huge fan of coffee, but this place floored me with a variety of flavors such as hazelnut, cappuccino, white coffee, tiramisu coffee, chocolate, chocolate with mint, chocolate with strawberry, etc. Tea tasting was my favorite. Surprisingly the flavor I loved the most was Vanilla milk tea. The staff was extremely helpful and polite. 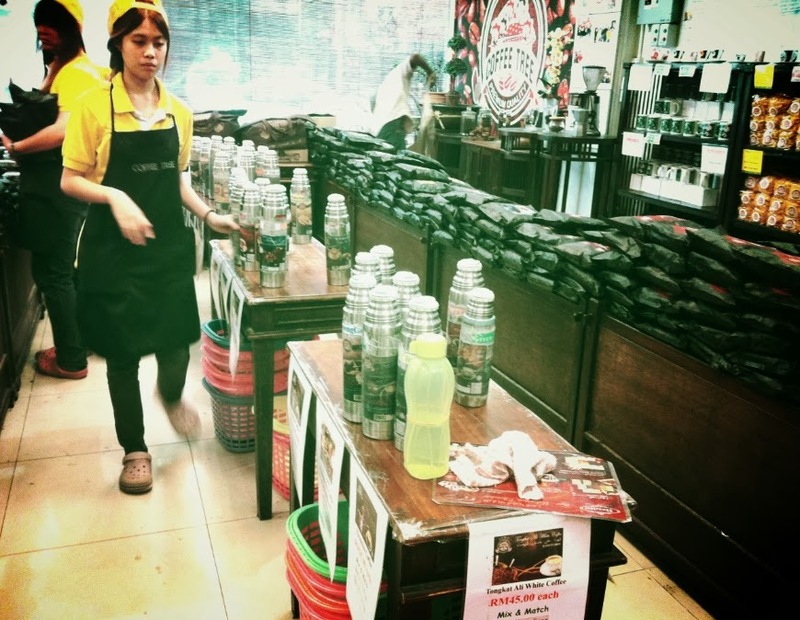 They guided me through the store and tea tasting. My pre-last pit stop of the day was the Reclining Buddha Temple (Wat Chayamangkalaram). It is also popularly known as the Sleeping Buddha by the locals. 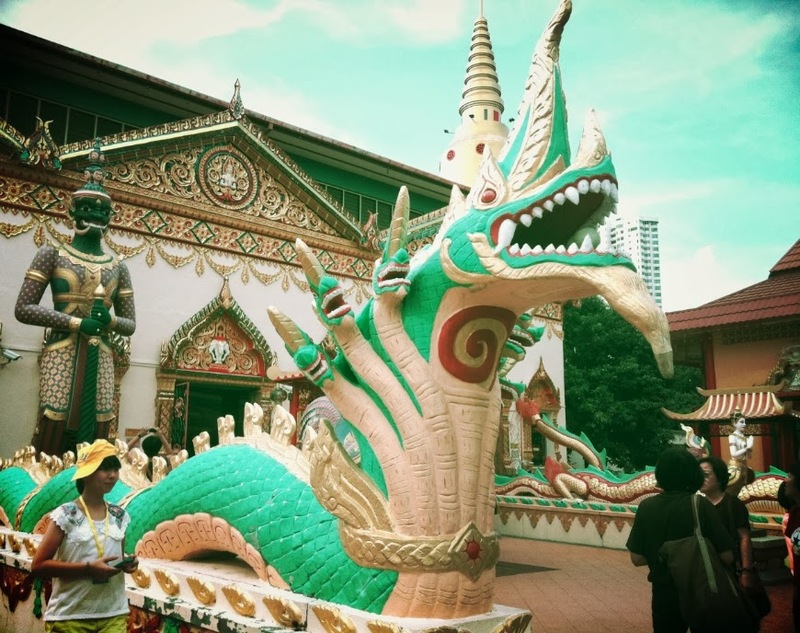 This Thai temple was built in 1845 and hosts one of the largest gold plated reclining Buddha. 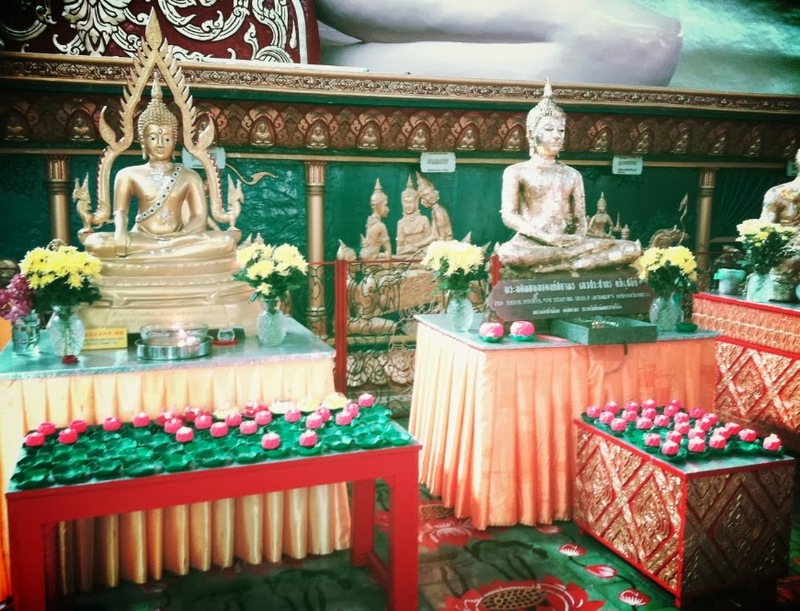 According to the locals, the reclining Buddha is a representation of historical Buddha at the time of his death. It is a symbol of complete peace and detachment from the world. One of the shocking (shocking for me at least) feature of the temple was the niches with urns containing ashes of devotees behind the reclining Buddha. As Penang is close to Thai border, one can see a lot of Thai influence. There is a small Thai village and a Thai cemetery just behind the temple. 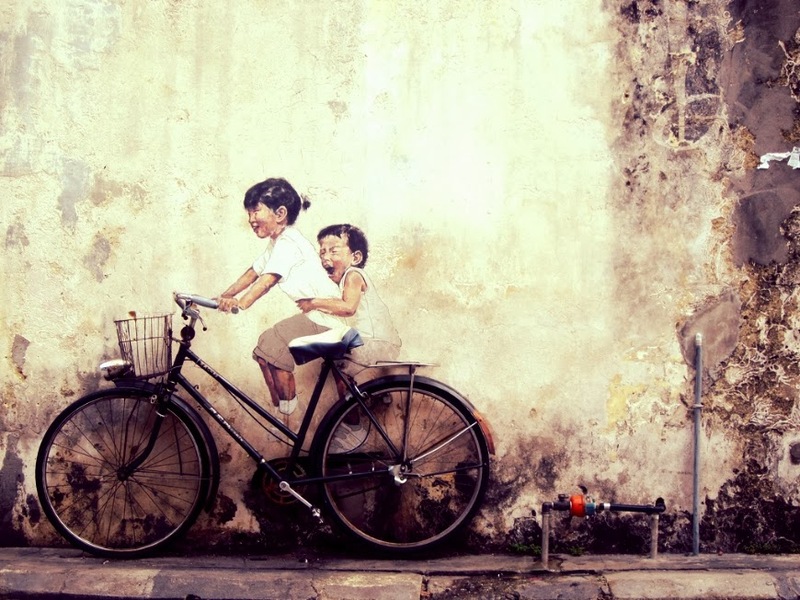 My last and favorite pit stop for the day was discovering the street art of a Lithuanian artist Ernest Zacharevic. Every street and every road of Georgetown has a unique story as it named after the trades, people and events. This young artist has not only beautifully captured the little joys of daily life, but also put back the stories of the streets. Unfortunately, most of the street art is fading away. Among all the street arts I saw, by far my favorite has been the two Armenian kids. As the saying goes, "All good things come to end". 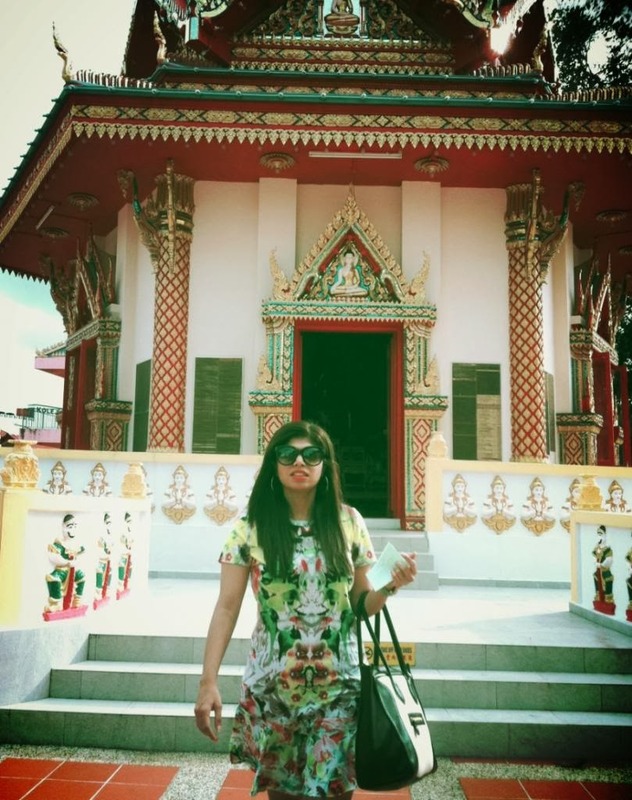 My journey through the streets of Georgetown came to end after savouring in heat and prancing through the streets. I retreated back to my cabin to explore the cruise ride. The night looked promising with the ocean wind kissing my cheeks.